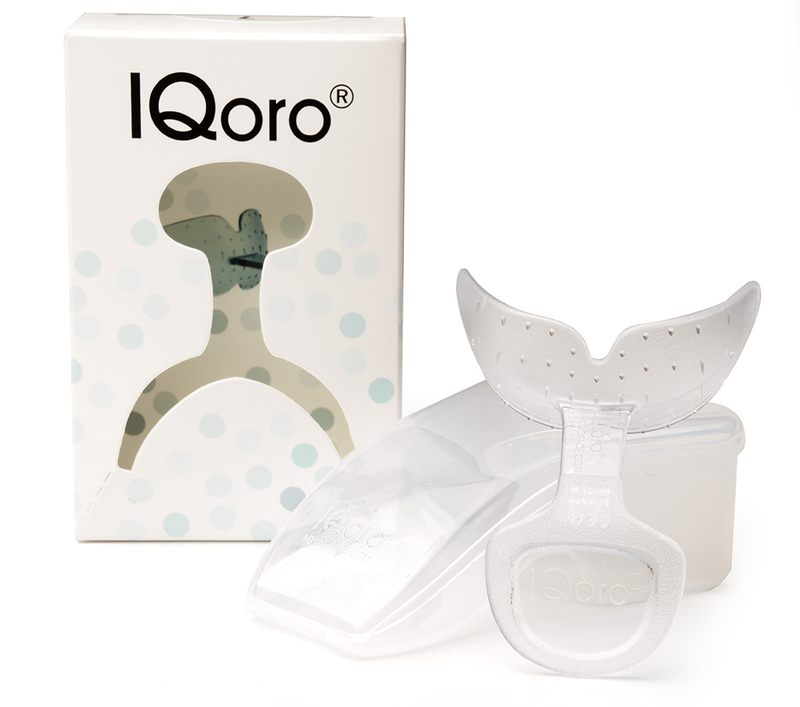 IQoro® has been developed for people that have problems with being able to breathe, eat, speak or smile, i.e. those that have dysfunctions in the face, mouth, throat, upper airways, esophagus or diaphragm. The oral cavity can be thought of as the most tightly coupled connection to the brain. 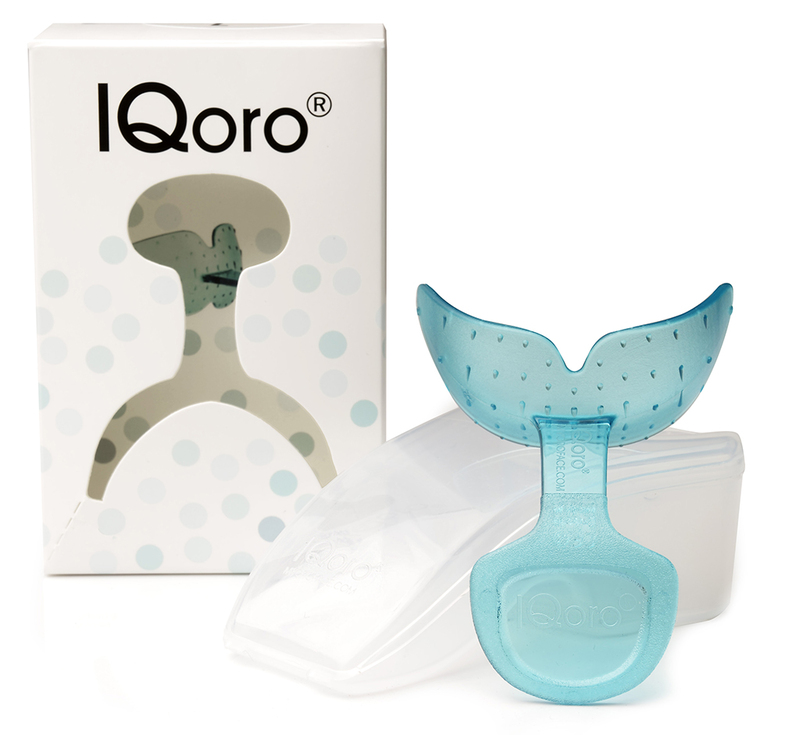 IQoro® is a neuromuscular training device and regime that exercises and strengthens the affected muscles and, via the oral cavity, activates the nerve system to and from the brain thus allowing it to rebuild, improve and regain its control over these functions. Dysphagia – eating and swallowing disorders (oral, pharyngeal and esophageal dysphagia). Treats the causes of dysphagia: not just the symptoms. Strengthens slack musculature in the tongue, soft palate, pharynx and air pathways. Addresses the underlying causes of reflux, LPR, heartburn, sensation of a ‘lump in the chest’ or throat, persistent dry cough. Improves muscle strength in the lips, face and oral cavity. Read more at Dysphagia, Swallowing difficulties – Different causes. Paralysis of the face, mouth and throat. Strengthens the musculature, and improves or restores the brain’s control over these functions after central brain injury (stroke). Read more at Stroke or Facial paralysis. People with indistinct speech improve their ability through strengthening the musculature in the oral cavity. Read more in the respective sections: Dysphagia, Swallowing difficulties – Different causes. Exercise takes 30 seconds per session, three times per day – 1½ minutes per day in total. This training makes it possible to strengthen the muscles and to improve and regain the brain’s control over them, depending upon the root cause of the muscle weakness. Read more here: Dysphagia, swallowing difficulties – different causes, Snoring – social snoring, and sleep apnoea, or Facial paralysis. 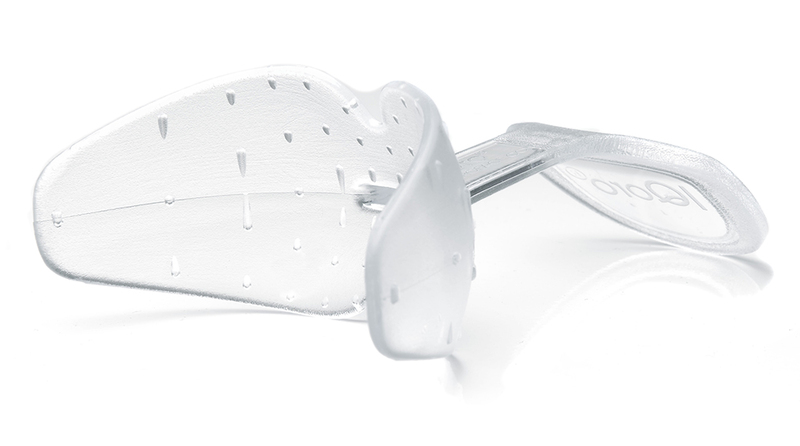 IQoro® fits everyone, irrespective of bite and jaw, because of its unique design. Small, for children from approx. 1½ to 12 years old. Large, for adults from approx. 12 years old and upwards. 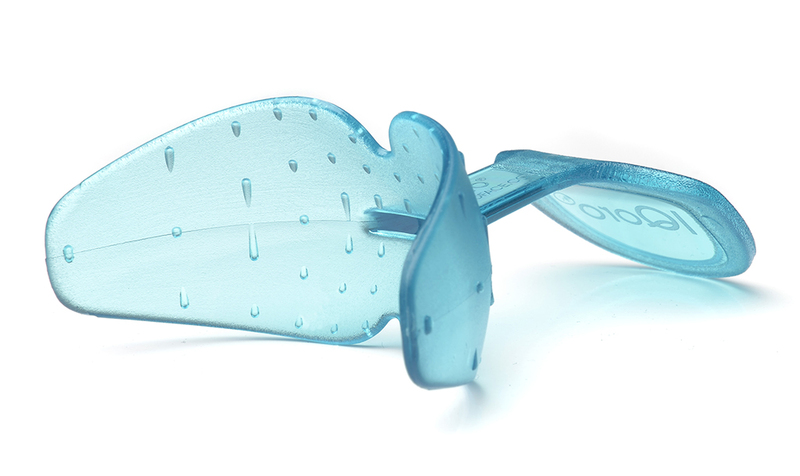 More than 20 years’ research lies behind the development of IQoro®. 97 % of patients improve their swallowing abilities. 71 % regain normal swallowing capacity. In the best cases, paralysis is completely eliminated or improved in all four face quadrants, and a more symmetrical face, with increased control, is achieved. Postural control is significantly improved with enduring effect. That 53 – 74 % became free of other symptoms. Because Hiatus hernia is caused by weakened musculature, some maintenance training after the symptoms are gone will be required on an ongoing basis to maintain the effect. A common cause of snoring and apnoea is weakened and slack musculature in the tongue, soft palate and upper air pathways. Studies show that IQoro® strengthens and improves tension in this musculature [5, 6]. This explains why IQoro® can treat snoring problems and prevent the upper air pathways collapsing and causing breathing suspension (apnoea). NOTE! 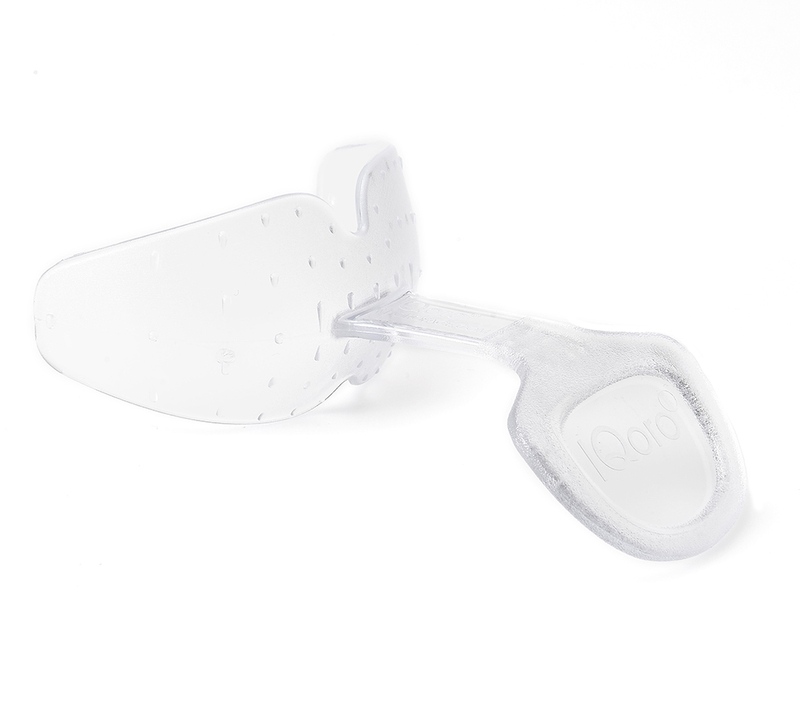 If you use a prescribed device such as an oral appliance or CPAP, you should consult with your physician whether these treatments can be ceased after training with IQoro®. The same muscles and nerve pathways are used, although in different ways, to breathe, eat, speak and smile. 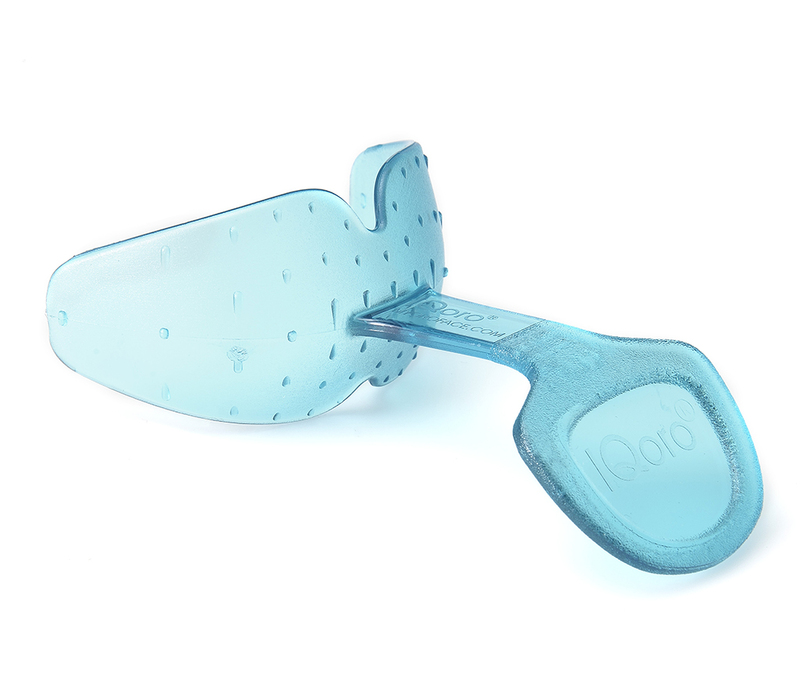 Research  shows that training with IQoro® actively stimulates the mouth, and in this way reaches the control system for the swallowing process, which is also closely related to the control systems for other bodily functions . These include breathing, the ability to make speech sounds (talk)5], facial expressiveness [1, 2, 4], tear- and saliva production, postural control , stomach- and intestine function, etc. This explains why training with IQoro® can have a natural, positive effect on so many different functions at the same time.